The series of questions that forms the basis of the song is obviously not meant to be taken literally; none of us were physically present at the passion of Christ. Rather, the questions are meant to function as a form of anamnesis. From the Greek, anamnesis literally means to remember. Yet, it is much more than simple mental recall of an event. It calls the community to re-member the past to the present, to bring these historic events to bear on the now and make them part of our story. When Moses tells the second generation of Hebrew people about to enter the promised land, “Not with our ancestors did the Lord make this covenant, but with us, who are all of us here alive today,” it is anamnesis; when Jews continue to proclaim at the Passover Seder, “We were slaves to Pharaoh in Egypt, and the Lord our God took us out,” it is anamnesis; and when the Christian community celebrates the Lord’s Supper “in remembrance” (and the Greek word here is anamnesis!) of Christ, it is anamnesis. “Were You There” is then an anamnetic song that is meant to bring the past events of Christ’s suffering and death into the present and transform us in its light. 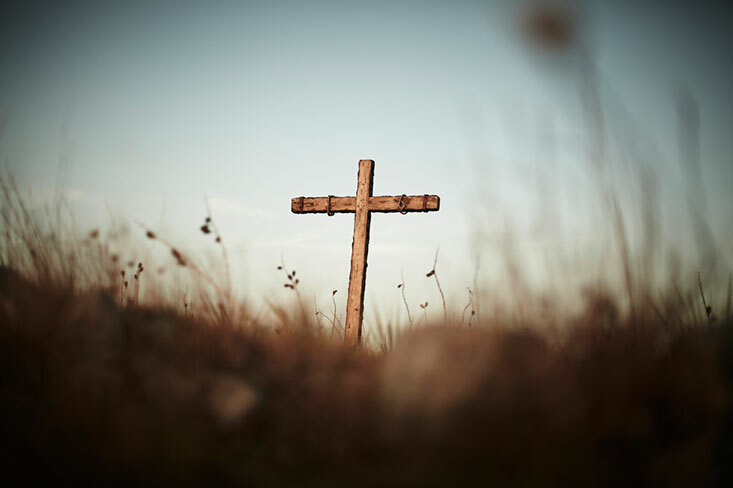 For African Americans, this re-membering of the cross allowed them to claim the Christ who knew their suffering and stood in solidarity with their oppression. Again, Cone notes, “In the mystery of God’s revelation, black Christians believed that just knowing that Jesus went through an experience of suffering in a manner similar to theirs gave them faith that God was with them, even in suffering on lynching trees, just as God was present with Jesus in suffering on the cross.” The spiritual thus re-membered the suffering of Christ to the suffering of the African-American community, with its inherent promise of God’s presence and resurrection power. While the story could be told simply to marvel at the image of Howard and Sue Thurman singing “Were You There?” with Gandhi in his ashram tent, it also shows the power and affect of the spiritual. And while the influence of Gandhi’s philosophy of nonviolent resistance on Dr. Martin Luther King, Jr., and the burgeoning Civil Rights movement has been well documented, perhaps we see here how the influence was reciprocal, as this song borne from the crucible of suffering spoke to any and all around the world who faced oppressions of every kind. As we continue our journey through Lent and prepare for a Good Friday where many of our congregations will no doubt sing “Were You There,” anamnesis calls us not only to remember Christ’s death but also the stories of all those who suffer at the hand of oppression. As mass incarceration, discriminatory drug policies, and police brutality continue to disproportionately target African Americans and other people of color, the song continues to give comfort to the oppressed that they serve a suffering Savior especially present in their suffering. Yet, it also asks those of us in privileged positions of comfort not only if we “were there” at the cross of Christ, but if we are there in the suffering of the oppressed where Christ’s cross still stands. David Bjorlin, a minister of the Evangelical Covenant Church, is a doctoral student in Liturgical Studies at the Boston University School of Theology. He teaches worship courses at North Park Theological Seminary and is a pastor at Resurrection Covenant Church in Chicago. He recently co-authored Incorporating Children in Worship: Mark of the Kingdom with Michelle Clifton-Soderstrom.